Reviews for All Wildlife Removal Inc. 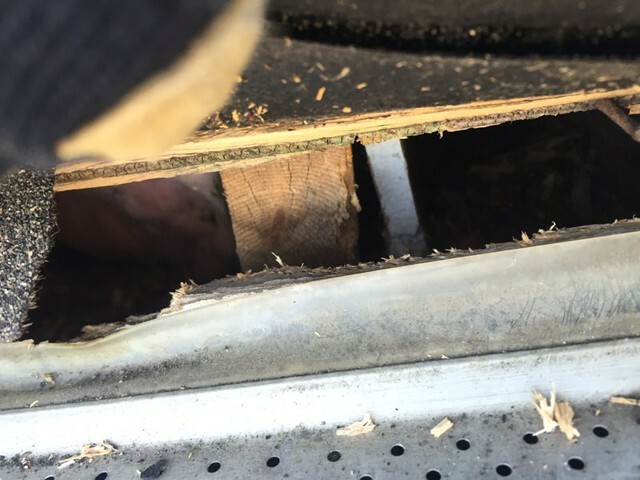 The company's employee (Holland) did a great job removing a raccoon from my attic and ensured that it stayed out by sealing up the entry point as well as all potential entries. The attic's 2 levels were no problem for him to work in. Thank you so much for the kind words. Really means a lot to us. We signed on with the Burlington division of All Wildlife Removal in February of 2017. Although the price may seem a bit alarming, the truth of the matter is, all things considered (their thorough scoping and sealing of the property, their intense professionalism, their immediate attention to anything suspect or new, their knowledge, their warranty, etc), you’re getting what you pay for. We are a family of six, living in a rural area and All Wildlife Removal has lived up to every challenge our property has posed. We had an issue at one point with one of their employees who was far from professional! Paul, the owner, immediately sent one of his finest; she fixed everything...including the offense from the aforementioned employee. It is my understanding that that person is no longer with the company...good choice! This is a group of people that pride themselves on having integrity, conscientiousnous and professionalism guide their every move. Thanks to all of you! Thanks for the kind words. It was a pleasure working with you. We have a semi-detached home and my attached neighbour had been hearing mice for over a year. She had many quotes and started off with an inexpensive first solution with traps and poison. The problem did not go away. When she contacted Paul, he offered an entire home protection and pointed out that mice will keep coming back unless you can block all possible entry points. Because we shared a roof, we both had to agree to the work in order to guarantee a lifetime protection from mice. If only one of us did it, the mice would just move over to the other side. Paul went up in our attic and took pictures of mouse tunnels and droppings. We were unaware we had mice, but they were silent as they chewed through the insulation. It seemed like a very expensive fix, but there were others who were higher, and they only offered a one or two year guarantee. The cost for both semis was about $4,700.00. The work was very thorough. Very sturdy cages were custom made and put on all vents. 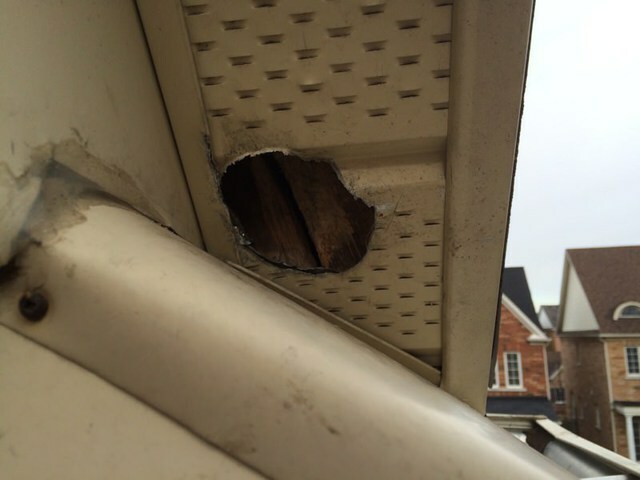 Screening was put in corners of the soffits. Caulking was done. One way exit traps were put in to allow any mice to escape after the work was done in case they got trapped inside. These will be removed after several months and an attic inspection will be done in the future. 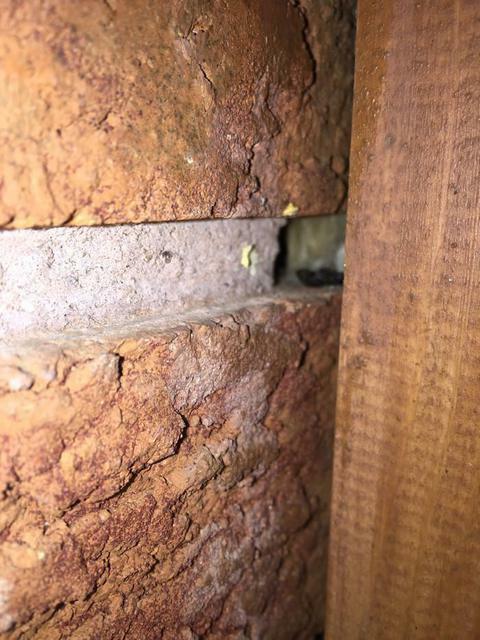 We have heard nothing in the walls or attic since this was done. Paul was great at explaining everything and prompt in getting the work done. If you require a solution for an ongoing mouse problem, we would recommend using this company. Rat damage in basement drop ceiling. Paul was very thorough and friendly. He was always available via text and arrived on time. The issue had first been noticed by the cable guy who was installing inside the drop ceiling in the basement. Paul cleaned out and removed the ceiling tiles and removed the installation that contained rat droppings and sealed the area where they were entering. I first used the services of All Wildlife Removal in 2013, I found that their knowledge and attention to detail was far above any of the other companies I had reached out to. Although it was not the least expensive quote I had received during my research process....I decided to move forward with The All Wildlife Team, My neighbours at the time decided to go with other companies. Year after year, My house was rodent free while I constantly observed a litany of other wild life removal trucks in my neighbourhood every season. Since moving houses, I have used the All Wildlife Team twice more, and been elated with the results. I have always looked to save a buck where i can, but the owner assured me that I would save in the long term, he was not wrong. I now recommend their services to anyone who will listen, If you want to ensure long term results and protect your investment....All Wildlife is the only team to choose. Thanks for taking the time to share a few words. It's been a pleasure getting to know you and your family over the past several years. All the best over the holidays​. My first call, every time. The All Wildlife team are wonderful. Paul and his staff have become the "go-to" for both myself, and my family. As a Mortgage Agent, I've also had the opportunity to refer this company to clients....and I do it without hesitating. Beyond being quick, efficient, and knowledgeable. They are courteous and respectful. It's hard to find companies that you know will look after your own clients as well. I don't ever worry with All Wildlife. Not to mention, they are humane, with the animal removal...and that's HUGE to me. Way to go everyone. Keep up the great - and thank you for always being there for me and my clients. Thanks, Sherri, appreciate the kind words. It was a pleasure dealing with you. all the best o​ver the festive season. I don't believe this company can properly service clients, because for 1 they don't have a properly functioning phone line, and 2 the response times are horrid (if you are fortunate enough to be contacted). Nov. 14 - A tech showed up to my house to do the initial assessment that costs 50 bucks. He appeared to do a very thorough job (except he didn't check the attic), and he promised to have a detailed estimate sent to me by the following morning. He eluded to the fact that he would take pictures of problem areas, and that they would be included with the strategy to reduce the probability of rodents entering the home. Nov 16 - I received the estimate from the tech...1 day late, but I let it slide. It contained no photos of the problem areas, and had no explanation of the line items to justify the over $2k quote. Nov 21 - I follow up with the tech with a list of questions I had about the estimate. Nov. 24 - After not hearing from the tech I sent a follow up email. Nov. 28 - I call the head office directly to get in touch with tech. I am advised that the tech will call me back within 45min (or so). Nov. 29 - Over 24 hours later I am still waiting for the call back. As a result of my experience I would strongly advise staying away from this company. They found the time to deposit my cheque after the assessment, but don't have the ability to respond to my emails? If they aren't prepared to answer my questions before I pay, how likely are they to service me after I've paid? I suspect, not likely. 1. You're not in a qualified position to criticize the competency of our company. We never did any work for you. Once again I do apologize for the shortcomings from a customer service standpoint in our initial interactions. But having said that, we are truly shocked by the over the top, malicious nature of this review. It's unfortunate that you felt jeopardising several peoples livelihoods, over a slight inconvenience was a justifiable response. 2. We told you from the onset this was a difficult situation and we could not (for several reasons that were well explained) make any guarantees of success. From the initial meeting, we explained that we had a pretty much zero percent chance of ridding you of your mice problem. That on its own should have spoken to our integrity and honesty as a company. After this, there were several phone conversations lasting several hours in total, texts with lists of lengthy and repetitive questions. As well as a request for a second estimate to be written up and for us to come back out and take pictures of your garage. Basically, you kept questioning our expertise and refusing to take our professional advice at face value. You did not agree to engage our services yet you were demanding several hours of our time, over and over again, during our busiest season. 3. The reality is we do tremendous work and are a close-knit group who take tremendous pride in this business. Your review was spiteful and not a fitting response by any stretch of the imagination. We are sorry everything came to this. Best of luck. We enlisted All Wildlife Removal to help with some preventive work on our house. Holland was an excellent resource and completed the work very thoroughly. We would recommend them for anything you need relating to wildlife or pest removal. Thank you very much for the kind words, have a great day! It took some time for the animals to stop finding new entries but wildlife removal was persistent. After a few months, the mice decided to move on. We intend to spend the money to have our home re-inspected, to have in re-warrantied when our five years comes due. Well worth the money and peace of mind. Thanks for taking the time to write a few words and glad we could help out. enjoy a critter-free summer​! More about All Wildlife Removal Inc.
Offering a Lifetime Guarantee On Full Animal Entry Prevention Packages! 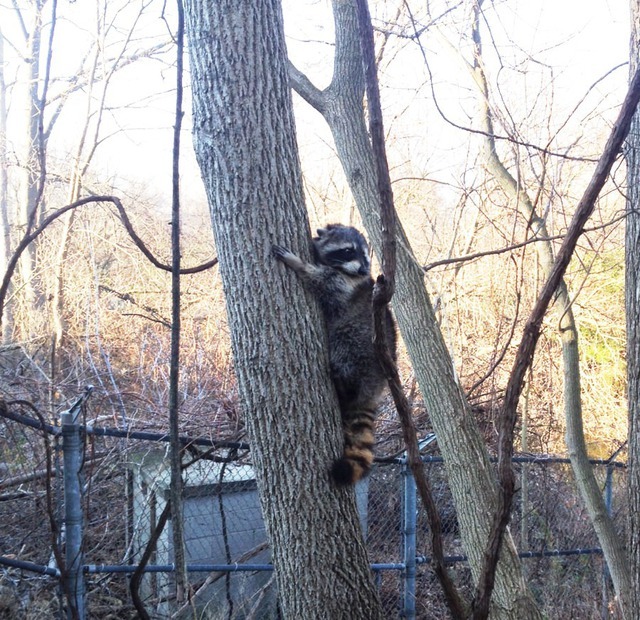 We Humanely Remove and provide animal control for raccoons, squirrels, birds, pigeons, hawks, bats, mice, rats, skunks, snakes, opossums and rodents! We provide our services in Toronto, Oakville, Burlington, Hamilton, Ancaster, Brantford, Aurora, Barrie, Markham, Richmond Hill, Vaughn, New Market, Milton, Kitchener, Cambridge, Stratford, Waterloo, Huntsville & Most of Southern Ontario. We Guarantee our services and make sure wild animals don't get back in! 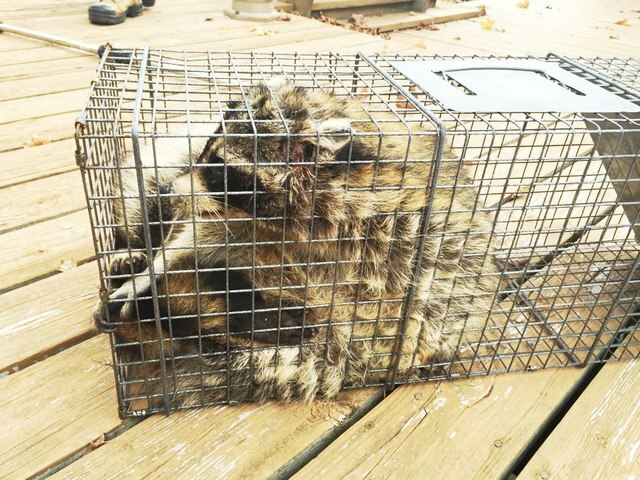 With over 30 years combined experience, our team of trained and qualified wildlife removal experts will assess your animal problem, determine entry points, humanely remove the animal and secure your home from future intrusions. 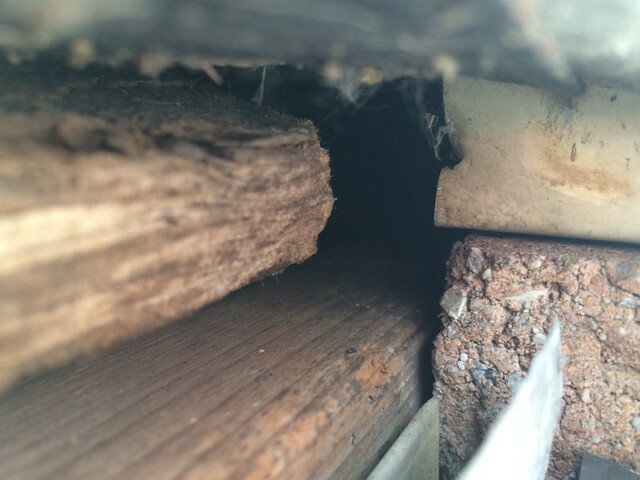 We also have a team that specializes in attic repair and restoration so you can rest assured that if you're home has been damaged by wildlife, it will be repaired 100% up to building codes and standards. We animal proof all home or building components such as chimney, roof vents, plumbing mats, soffits, shingles, weeping brick, garage doors, ceilings, dry wall, drip edge, fascia, decks, sheds, hot tubs and more!